In this blog I will show you a quick trick to complete the branding of your UI5 apps. A favicon is a tiny icon file which browsers can display on a tab or in a list of bookmarks (a.k.a. favourites). Why do I care about favicons? 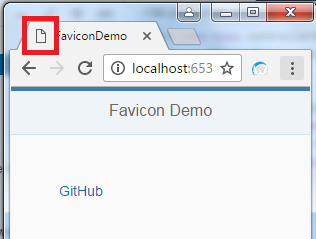 How do I set the favicon for my UI5 app? You can just add a link tag under the head section of your index.html. This always seems to work! The runtime for this request is insignificant because the app is running locally on my machine. If the server was far away however the latency would be greater and the doomed request might add more to the runtime. Remember, this request will be made every time the app is run, not just when the cache is empty or invalidated. I don’t want to see that every time my app is run, hence I spent a few minutes researching how to make it go away. 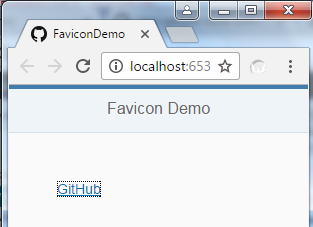 As you can see I didn’t even need to save the favicon file, I just referenced the one that is already accessible. If you go to ‘[mycompany].com/favicon.ico’ you will probably find that your company has already published one. If you do need to create one you might be able to upload it to the root folder of your server. Why not take 1 minute now to complete the branding on your UI5 apps? PS I’ve just focused on on-premise UI5 apps here. If you are using Fiori or you are deploying to HANA Cloud Platform then things will be different. On this project we haven’t created a custom theme. It might be the case that we could use such a theme to set the favicon too. 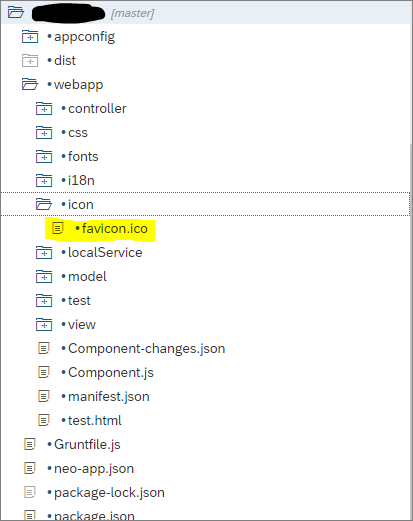 An alternative way to set (not only) a favicon is to use the property homeIcon from sap.m.Shell or the API jQuery.sap.setIcons. In this way, the favicon can be retrieved dynamically which will be then appended to the document once it’s ready. Yes. But for FLP it does not need any JS code.